PALO ALTO, Calif., Oct. 2, 2017 /CNW/ - SSL, a leading provider of innovative satellites and spacecraft systems, today announced that the BSAT-4a satellite, designed and built for Broadcasting Satellite System Corporation (B-SAT), a leading broadcast satellite operator in Japan, was launched on Friday and is successfully performing post-launch maneuvers according to plan. 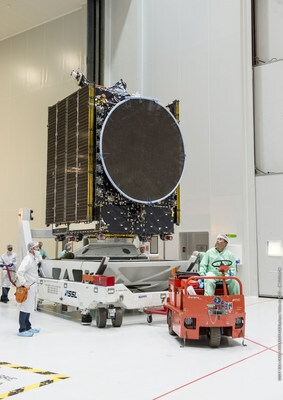 The satellite deployed its solar arrays on schedule following its launch aboard an Ariane 5 launch vehicle from the European Spaceport in Kourou, French Guiana and it has begun firing its main thruster to propel toward its final geostationary orbit. The satellite will be used for Direct-to-Home (DTH) television service in Japan. "SSL would like to thank B-SAT, for placing its trust in our ability to provide a highly optimized satellite that will serve the demand for next-generation services in Japan," said Dario Zamarian, group president of SSL. "It has been a pleasure to work together with the B-SAT and Arianespace teams on this launch, which marks our first satellite for B-SAT and our fourth satellite for the Japanese market in recent years. We look forward to many more opportunities to help B-SAT maintain and expand its fleet." 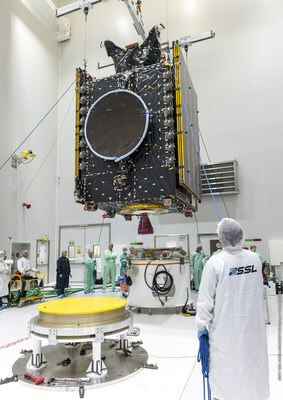 SSL is providing B-SAT with delivery-on-orbit service and is on track for early hand over. The satellite is a high-performance broadcasting satellite equipped with 24 Ku-band transponders. From its location at 110 degrees East Longitude, it will expand the availability of advanced television services such as high definition and 4K/8K ultra-high definition. "We are very pleased that SSL expects to deliver BSAT-4a on-orbit ahead of schedule," said Takashi Yabashi, president and chief executive officer of B-SAT. "SSL is an innovative and reliable partner that incorporates advanced manufacturing practices that streamline production. With this satellite, we will now be able to provide viewers all over Japan with high definition and 4K/8K ultra-high definition broadcasting for the highest quality direct-to-home service." B-SAT plans to use the satellite to provide 4K/8K broadcasting for the Tokyo Olympics and Paralympic games in 2020. The satellite is based on the highly reliable SSL 1300 platform, which provides the flexibility to support a broad range of applications and technology advances. It is designed to provide service for 15 years or longer. Please visit SSL's new website which reflects the company's broad capabilities as a provider of integrated space technologies and systems. B-SAT is a unique operator of broadcasting satellites in the 12GHz BSS band for Japan. The company was established in April 1993 and is located in Tokyo, Japan. Since then, B-SAT which is owned 49.9%, by NHK, the Japan Broadcasting Corporation, has worked toward providing stable satellite operations and continuity of broadcasting services. B-SAT currently owns and manages three satellites, BSAT-3a, BSAT-3b and BSAT-3c, for BSS service which are currently providing 2K broadcasting service. The number of BSS Digital Broadcasting Receivers is now over 140 million in Japan. B-SAT has started 4K/8K test broadcasting via the BSAT-3 series and plans to provide new service, 4K/8K regular broadcasting service via the BSAT-4a satellite in December 2018. Space Systems Loral (SSL), based in Palo Alto, California, is a leading provider of advanced spacecraft systems, with broad expertise to support commercial and government satellite operators and innovative space missions. The company designs and manufactures spacecraft for services such as direct-to-home television, video content distribution, broadband internet, mobile communications, in-orbit servicing, space exploration, and Earth observation. As a Silicon Valley innovator for 60 years, SSL's advanced product line includes state-of-the-art small satellites, and sophisticated robotics and autonomous solutions for remote operations. SSL is a subsidiary of SSL MDA Holdings, Inc., a U.S. operating company. For more information, visit www.sslmda.com. SSL MDA Holdings is a wholly owned subsidiary of MacDonald, Dettwiler and Associates Ltd. (MDA) and serves as the operating company for all MDA businesses. SSL MDA Holdings is headquartered in San Francisco, California. MDA is a global communications and information company providing operational solutions to commercial and government organizations worldwide. MDA's business is focused on markets and customers with strong repeat business potential, primarily in the Communications sector and the Surveillance and Intelligence sector. In addition, the Company conducts a significant amount of advanced technology development. MDA's established global customer base is served by more than 4,800 employees operating from 15 locations in the United States, Canada, and internationally. The Company's common shares trade on the Toronto Stock Exchange under the symbolTSX: MDA. For more information, visit www.mdacorporation.com.